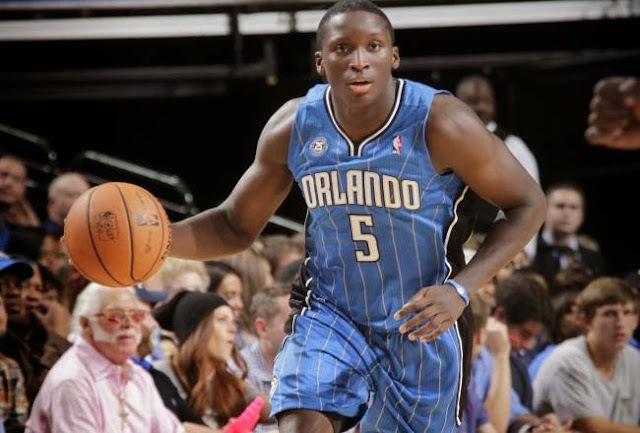 Remember in Orlando summer league when Victor Oladipo looked like he could run point guard as well as anybody in the NBA? Well that hasn't really translated thus far in the games that actually count for something as he has averaged a putrid 4.4 turnovers per game in 26.5 minutes per game. Oladipo who isn't even starting is doing a horrible job of taking care of the ball but its still early. This problem (if continued) will effect the Magic in June when they make their decision on who to draft, right now they are evaluating how efficient the former Hoosier can facilitate an offense at this level of basketball. With Jameer Nelson and Aaron Afflalo being 2 of older players on the Magic it is very likely that the Magic could have a new back court as early as next season but how it looks depends on Oladipo's ability to run point guard. Lets take a look at some guys who could potentially pair up with Oladipo next season. We wrote about Exum back in August (Click Here) and he would be a guy who can potentially be a franchise changer for the Magic. Being 6'6 combo guard who can run an offense he would certainly be a guy who could make for an exceptional back court between him and Oladipo. Exum has drawn many comparisons to Penny Hardaway so maybe going to Orlando is his destiny. 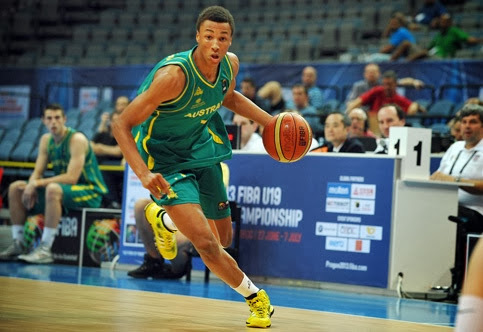 Known for his 6'9 wingspan Dante Exum has tremendous length for someone playing point guard and would be great for the Magic in general as he has the ability to distribute the basketball out of the post. So with Exum you can space the floor for shooters and create for a guy like Oladipo who although isn't known a s a great 3-point shooter is shooting the ball at a 37% clip from beyond the arc. So if the Magic can get Exum and surround him with shooters then he could help out this franchise a lot. The Australian born point guard is a projected top 5 pick in next years draft. 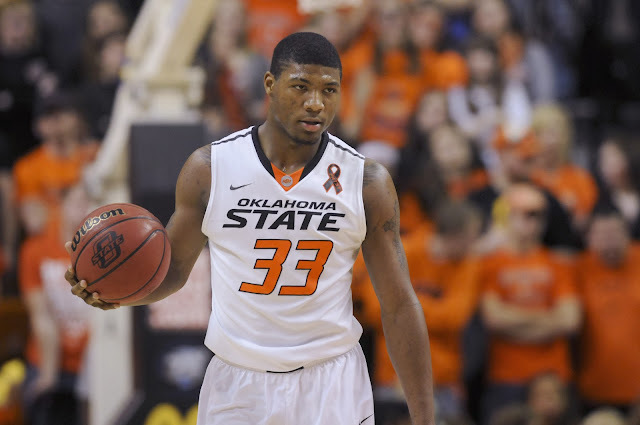 Marcus Smart is different then Exun as far as size and strength goes listed at 6'4/225 pounds. With his size comes different strengths then Exum. He excels in pick and roll situations as well as any guard in the country, Smart is as solid as just about anybody in college basketball at hitting the role man and creating for his teammates. You can be born with size and athleticism but passing instincts are not something that can be taught at the NBA level, you either have it or you don't. Smart at 19 years old did something very commendable for people his age, he stayed in school for another year to develop his game. He could have easily been a high draft pick and been making millions right now but getting his game right is more important then that. Unlike Exum who has the tools to be a solid defender Marcus Smart already is a good defender as he plays with a high level of intensity on a nightly basis and has a knack for deflecting passes and providing solid help defense. Smart is also known as one of the best leaders in college basketball and we don't have a lot of leaders in the NBA today. In closing I don't think the Magic could really go wrong with paring either one of these 2 guys with Victor Oladipo but if I had my pick I'd go with Smart. He brings intangibles that people that Exum and many other players in this draft just don't have. You can't statistically measure leadership and as good as Exum is drafting him is still based on potential, drafting Smart is more of the safe pick and you are still getting a guy with an elite skill set in this draft. No matter who they get in June the Magic are building a solid foundation that Orlando fans can be proud of in the upcoming seasons.